Baikonur, born Evgeny Gunchenko, first came into contact with electronic music over a decade ago, in his tender teen years. Ever since, he hasn't stopped constantly and genuinely loving these amazing sounds. With a mission to provide a quality club sound to the masses and expand the world of house and techno further, in 2004 the DJ named Baikonur was born. Jarier began deejaying in 2003 when he bought his first pair of Technics and he has been collecting and playing vinyl ever since. Jarier's current style mainly consists of all types of techno. However, there is a small trancehead deep inside Jarier's mind, who drives Jarier to play minimal trance and neo-trance every now and then. 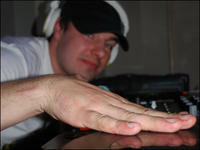 DJ John Major, born Jani Savola, hails from northern Europe, Finland. John Major has been in the club scene almost two decades, and he is one of the key figures in the house and techno scene of his hometown, Turku. There he's been involved with organising parties since the early 2000's. At the moment he is active with the oldest Finnish electronic music association, called The X-Rust Organization and also a club concept called rubiX. The latter is a monthly club, which is focused on quality house and techno. rubiX has two residents, John Major and Basile Renaud. 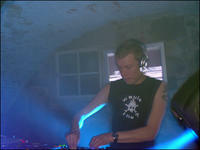 Janne Puurunen, also known as DJ Burdock, was born in 1976. In the late 80's he discovered electronic music and started collecting hip hop records. Very soon after that he was introduced to underground warehouse parties in the Turku area. In 1993 together with a few of his friends he started an organization called The X-Rust Organization, whose main function was to promote underground electronic music. The same organization is still up and running releasing records, arranging parties and giving opportunities to new talent.